They must employ a multi-step logistics function to manage retailer requirements to help overcome the challenges caused by supply and demand inherent in the cosmetic industry. Due to the nature of cosmetics, their consumers are persuaded by demanding products that are hot today, that may go out of fashion tomorrow. We see cosmetic companies drive this consumer behaviour by promoting the latest trends, and often using celebrities to endorse their products. Once cosmetic companies have generated demand, they need now to make sure those products are available for purchase. The process for handling products through to the final sale is critical. It requires reliable transportation, storage and distribution. This is also important as managing the supply chain plays a pivotal role in driving customer satisfaction. By having the in-demand products available to purchase, the cosmetic company creates a competitive advantage. The cosmetic business is market-driven, making marketing efforts crucial for success. A major supply chain challenge is making sure that the right product mix is available in the right distribution channels at the right time. It starts with forecasting the demand that will determine everything from purchasing ingredients to placement at retail locations. Reacting to inconstant demand and connecting marketing and logistics efforts requires a great deal of collaboration. 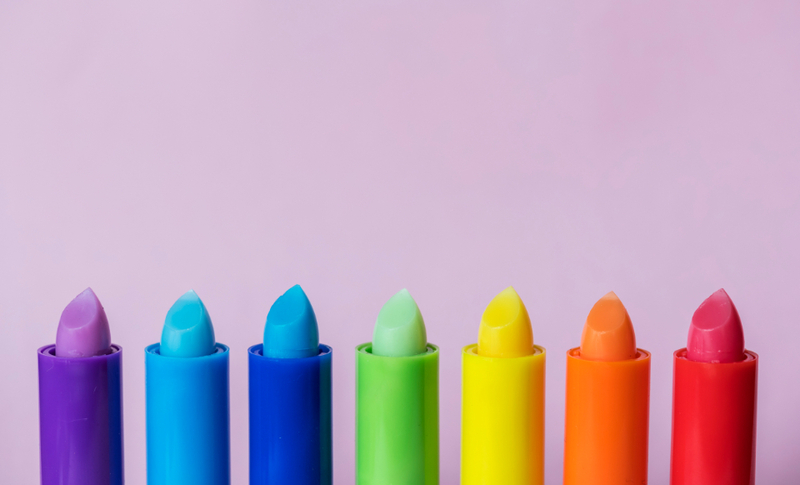 Cosmetics companies that plan ahead and encourage marketing and logistics functions to work together may have a better chance at successfully hitting their targets more cost effectively. To this end, marketing should engage logistics on the front end of a campaign, they can then help determine the best way to manage the projections and timing, and not operate in a reactionary capacity. Cosmetics are sold to a variety of retail streams that often have their own specific requirements. For example, larger companies frequently target four markets: consumer products to mass retailers; cosmetic supplies to salons and professional product groups; luxury brands to department stores and boutiques; and dermatological products through dermatologists. These different retailer structures often impose different packaging. In a large retail or chain drugstore, packaging is important in helping a product to stand out. Various packaging shapes and sizes are the industry standard, sometimes even for the same product. Some cosmetics companies achieve this result by implementing packaging postponement strategies. Postponement strategies allows for companies to package items closer to demand, and that can also include specialised displays and promotional features. This allows cosmetic companies to pay more attention to how they can accomplish those initiatives more affordably. In the cosmetics product supply chain, sensing demand and responding timely is a competitive differentiator. By controlling inbound transportation and product flow at each point in the supply chain, from manufacturing plants to distribution facilities to retail stores, can help businesses meet inventory to demand. Companies are now turning to transportation management systems to help smooth the flow of goods and improve visibility of their supply chains. Whether a cosmetics company sells to the mass market, specialty retail or via e-commerce, taking these major supply chain considerations into account is essential to ensure a competitive advantage when facing the challenges between supply and demand innate in the cosmetic industry.